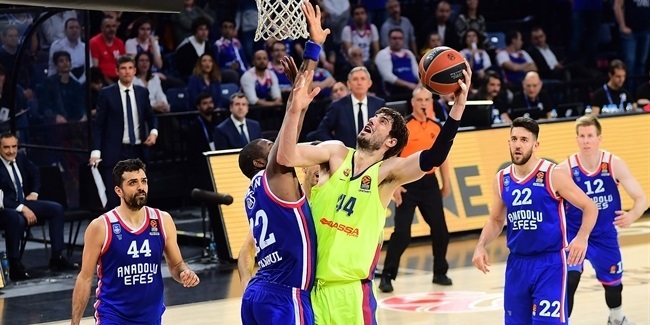 The Turkish Airlines EuroLeague is more competitive than ever – and also more demanding for the players, who face an intense schedule of 30 top-quality regular season games during a busy six-month schedule. But that's nothing for Chris Singleton. 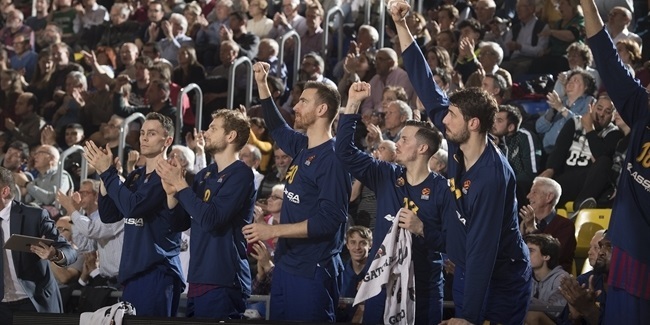 Not so long ago, the FC Barcelona Lassa big man played more or less non-stop for a period of 20 months. Singleton's marathon of basketball started in the autumn of 2015 with a season at Lokomotiv Kuban Krasnodar, with whom he reached the Final Four and played 63 games. As soon as he finished that season in Krasnodar, Singleton started an immediate stint in China's second division, joining for Anhui Wenyi for 35 games of a summer competition lasting into August, winning the title and being named MVP. From there, he immediately returned to Europe for his first season with Panathinaikos OPAP Athens, which consisted of 67 EuroLeague and domestic games. "I wanted to play, and nothing was going to stop me after the situation I came from." That made for a remarkable grand total of 165 games between October 2015 and June 2017, an average of one game every 3.7 days for 18 consecutive months spanning two continents. Looking back, Singleton insists he wouldn't have done it any other way – in fact, the experience allowed him to understand more about how to look after his body. "I just really got into it," he recalls. "I came in early, got treatment and got more into my body. I did more stretching, which I wasn't used to. But I knew I had to do it, to stay fit. Once you get to a level, it's easy to sustain, you just get in a rhythm and come in every day." Singleton certainly did make it look easy to sustain. Even towards the end of his basketball odyssey, he was performing better than ever, being named EuroLeague MVP for March 2017 and playing a key role in Panathinaikos's Greek League triumph at the end of that season. Of course, to play continuously, he also needed some good luck with avoiding injuries, but he believes the biggest secret to his ability to endure so many games was the preparatory physical work he undertook, noting that prevention is better than cure. "I did a lot of corrective work," he explains. "I spent time in the weight room to strengthen my knees, doing some light lifting to work on my back and make sure my core was right. If your core is right, most of the time the rest of your body will be right." "I didn't like water! I couldn't drink it at all! I'd have anything else... energy drinks, orange juice, milk. Anything but water. But I've learned that water is very important, so I drink a lot more now to stay hydrated. Mike James was the same, but I think he's also started to get into water now in the last few months!" Singleton's 2015-16 season with Lokomotiv was his first in Europe, and he felt the need to make up for lost time after playing only occasionally during his previous few seasons in the United States. "It was a period where I was transitioning to Europe from the NBA and I was coming from a couple of years not playing a lot, so I wanted to play and show people what I could do," he states. "I wanted to play basketball, which is something I love, and play it every day. The train tracks were out there but no trains were coming through, so I just wanted to play and I was comfortable with the schedule. I wanted to play, and nothing was going to stop me after the situation I came from. I gave it more and more, and it became easier and easier." "After Loko they wanted me to come to China, I got a good contract and my best friend was out there – Jordan DeMercy. He works in Shanghai organizing basketball tournaments, an hour and a half from where I was. So it was good to kick it with my best friend for a few months and chill in China for something different. I had a good time out there." "They contacted me in July and kept hitting me up frequently. They were persistent, they really wanted me. Milan and Barça were also talking to me, but I decided to go to Greece. I had maybe 10 days off after China before joining PAO, and I felt at home right away. The team and fans were very welcoming and I had a great time." "I had a great year with Loko and we went to the Final Four, but that was Malcom Delaney's team. We also had Anthony Randolph, who had a great season, Dontaye Draper was established and solid. I was only the sixth man...We were able to find people who were on the rise, and Draper taught me so much. Me and Randolph were still going to the next level. Randolph had a breakout year, and I had a decent season but I felt I could do more." "You build relationships, friendships that last a lifetime...basketball has given me that." Without doubt, Singleton "did more" for Panathinaikos, playing all 33 EuroLeague games during his first season in Athens and starting in 29 of them. His relentless availability has continued since then, too. He appeared in all 34 EuroLeague games for Panathinaikos last season, averaging more than 30 minutes per game. 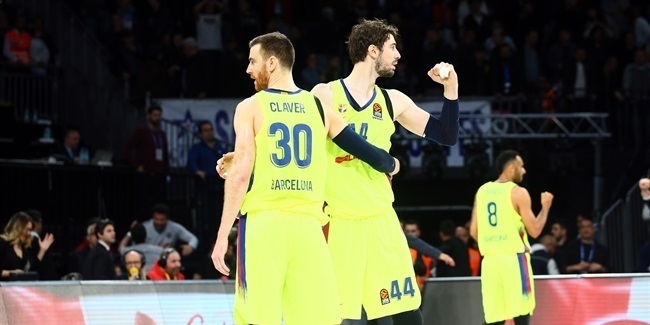 This season, for Barcelona, he is one of only 10 EuroLeague players to have started all 18 games. That means Singleton has played in 116 consecutive EuroLeague games without missing a single one since debuting in the competition with Lokomotiv, and he's nowhere near ready to stop yet. "Even in the summer, I don't take that much time off," he explains. "I'm from Atlanta, and when you go there it's a hub of basketball. You train in the summer, and all my friends send texts around: 'You playing today?' One of my friends out there is a trainer, so it's easy to call him and get back in the gym. Maybe taking shots rather than running up and down, but still active. "I just want to keep on playing. You have to make the most of your opportunities. Plus you build relationships, friendships that last a lifetime. I know that right now if I needed something, there are a lot guys out there I could call – basketball has given me that." And after the amount Singleton has given to basketball, that's the least he deserves in return.